dune through large floor-to-ceiling windows. 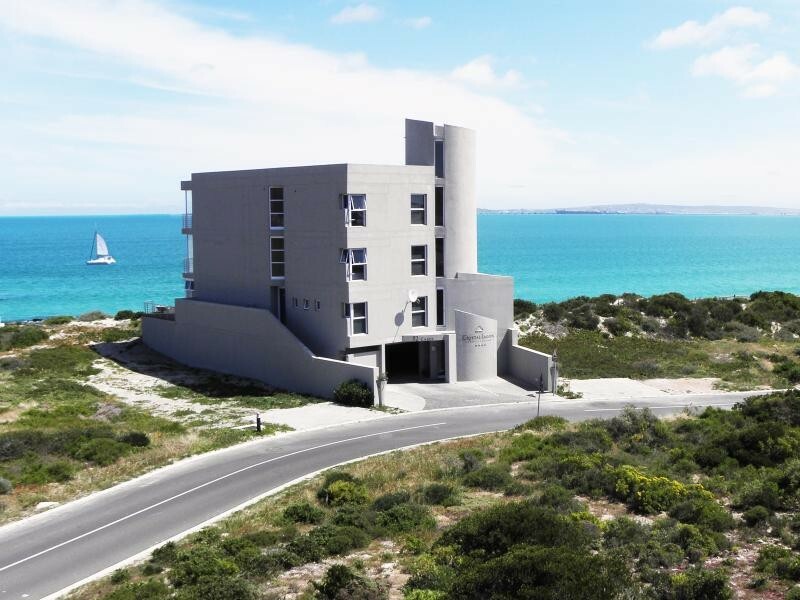 Crystal Lagoon Lodge is situated right on the edge of the desirable location of Langebaan lagoon. There are no borders between you and the sea, only the boardwalk, and a few wooden stairs to a white sandy beach of a sea lagoon, where shells depict as proof of life around our kelp forests. Shells are only found next to a sea fed lagoon without any river inlet flowing into the sea. The ambiance of Crystal Lagoon Lodge celebrates one of the world’s rare sea lagoons. Crystal Lagoon Lodge hosts unconventional modern features that encourage freedom to loosen one’s mind. 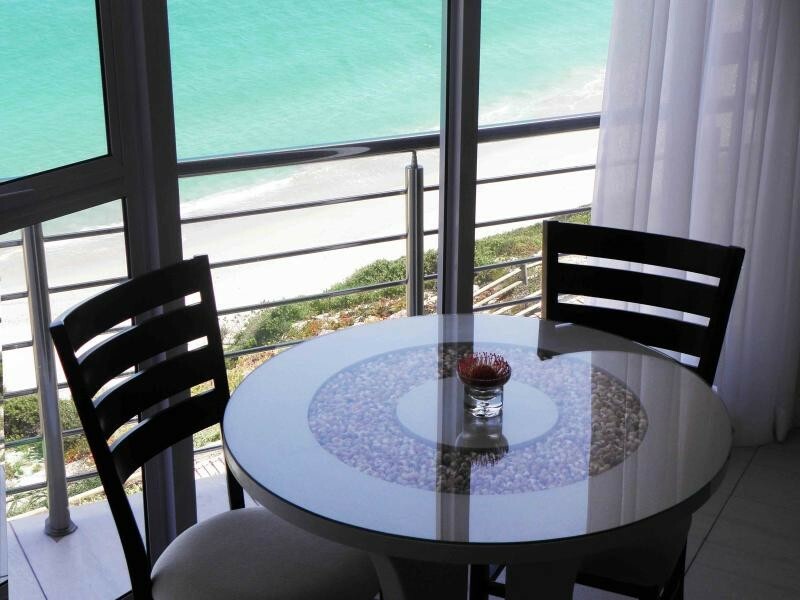 The contemporary design of Crystal Lagoon Lodge is defined by a spiral staircase, 6 sea-facing suites with modern open-plan bathrooms and private balconies with extraordinary sea views. Large double room with floor to ceiling picture perfect windows, full en-suite modern bathroom, king-size bed, and private balcony with 180-degree sea view. 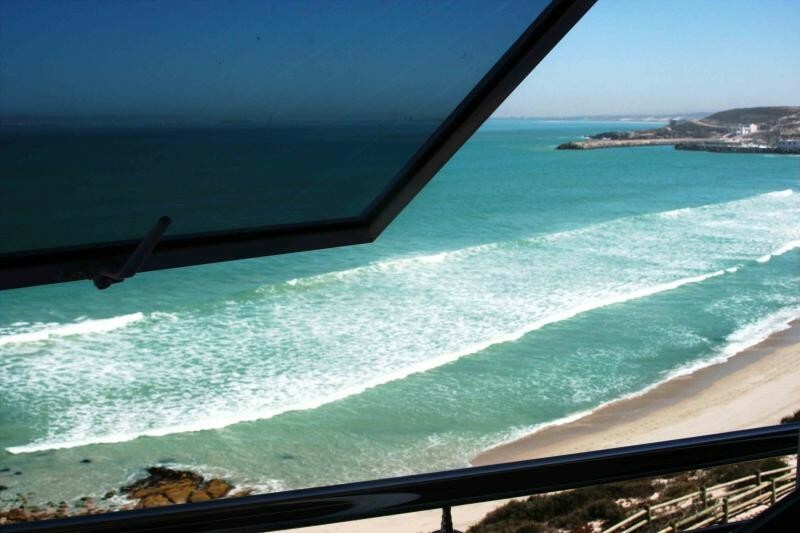 Double room with floor to ceiling picture perfect windows, full en-suite modern bathroom, 2 single/ king-size bed, and private balcony with 180-degree sea view. Double room with two small windows, en-suite bathroom with shower, single/ king-size bed. 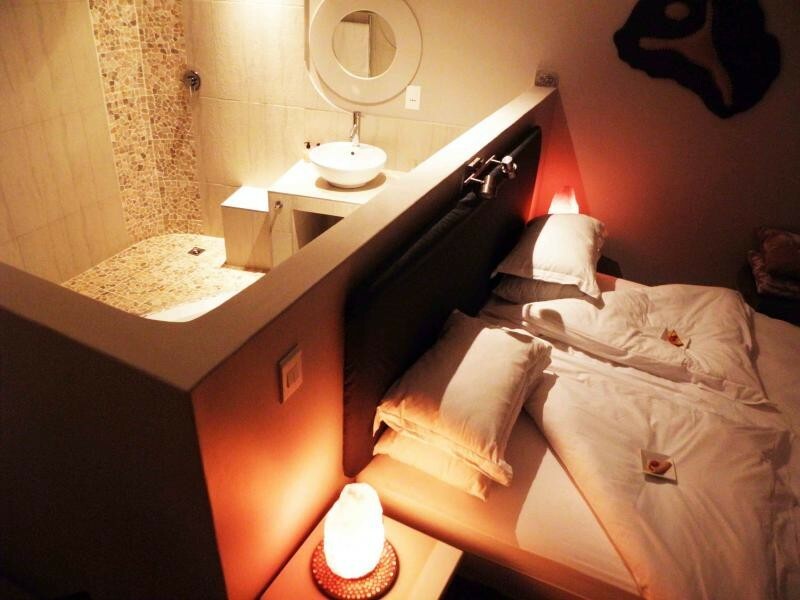 Ideal for single business men who is just looking for a quick overnight or for children conveniently in a separate room but close to their parents. Two of the sea-facing suites are large honeymoon suites, and can be combined with 2 non-sea-facing suites to form a family apartment. All king-size beds face the sea: lie in your bed watching the ebb and flow of the waves - even from your open shower you will be able to see the ocean! The dining area and deck is also sea facing, thus an all-round assembly between you and the mountain heads guarding the opening on the horizon towards the Atlantic Ocean. 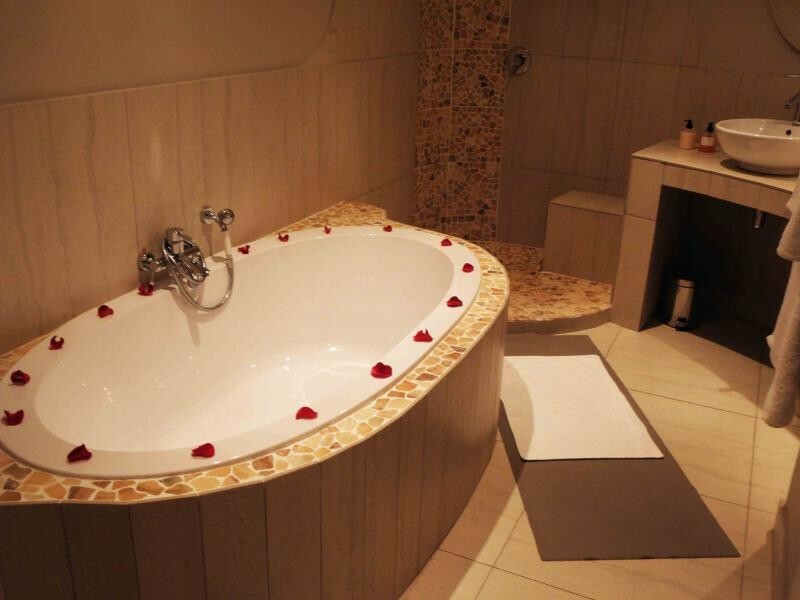 Crystal Lagoon Lodge offers free under roof parking, DSTV, bar fridges, personal safe, en-suite bathrooms, laundry service, outside shower, bar area and all other fundamental amenities that you would expect from a 4-star guesthouse. Breakfast is included with reservations, and consists of a set hot and cold menu, with standard continental attributes and fresh local ingredients where possible. Buffet and special dietary requirements can be catered for, if we are given advance notice. 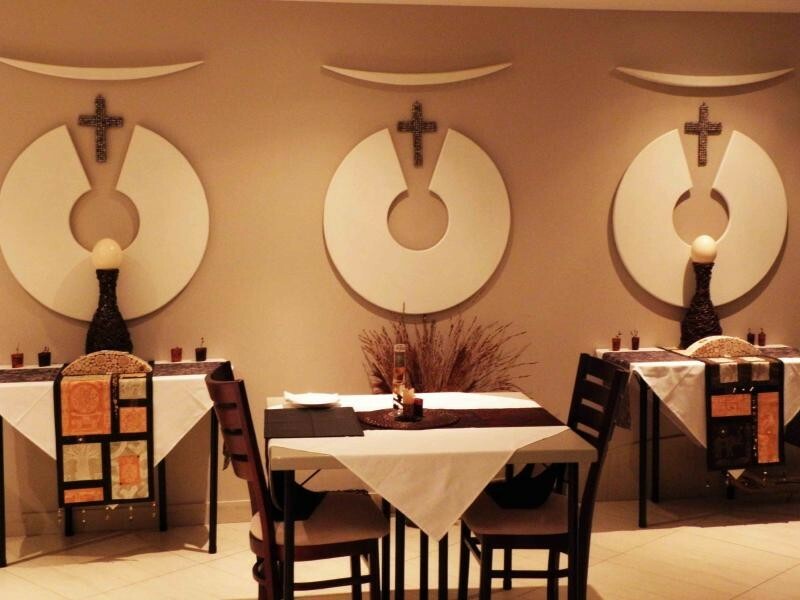 We present pre-booked group lunch and dinners on request in our dining area. 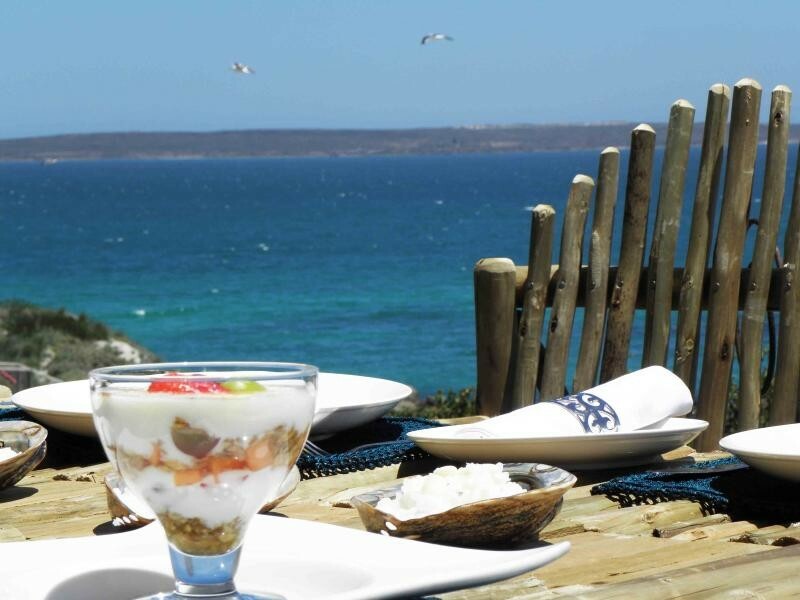 Langebaan Village is a mere hour’s drive north of Cape Town on the R27 coastal road. Should you wish to treasure the fynbos veld around the lagoon, you may prefer to take a detour through the West Coast National Park towards Langebaan. One may catch a glimpse of the birdlife at our bird hides, comfortably nestled next to the Langebaan Lagoon. The nutrient rich Benguela Current running into the lagoon results in heaving marine life that attracts thousands of birds that make our Seven Islands their migrating home. Both locals and visitors are intrigued by the crystal clear waters, a result of filter feeders like the common sand prawn that is constantly filtering the water. Different depth of channels in the lagoon cause the beautiful emerald and aquamarine shades of the water. Besides lagoon life and yacht cruises, traditional seafood boma’s, farm cuisine, local wines, family picnics on the rocks, and romantic sunsets form an integral part of the exclusive location of Crystal Lagoon Lodge. Book a Kraalbay Braai Yacht trip, and anchor for the day in an idyllic little bay in the West Coast National Park, play with a rubberduck, skiing or tubing, and savour traditional South African “braaivleis” that has been prepared for you on our yacht.